Bismillahir-Rahman-nir-Raheem,al-Hamdulillahi Rabbil-aalameen wa sala ALLAHU ala sayyidina Muhammad al-Fatihi wal Khatimi wa Nasiri,wal Haadi. SThe prodigious scholar and righteous saint al-Hajj Malik Sy (1855-1922) was one of the key figures for the renewal of Islam and spread of the Tariqa Tijaniyya in Senegal in the late nineteenth and early twentieth centuries. Along with contemporaries Ahmadu Bamba and al-Hajj Abdoulaye Niasse, al-Hajj Malik played an important role in preserving and adapting the transmission of the traditional Islamic sciences in Senegal in the aftermath of French conquest. His followers are today found mostly in northern Senegal, although important communities exist from the Gambia to the Futa region of southern Mauritania. Al-Hajj Malik was born in Gaya, in northern Senegal, of mixed Fulani and Wolof ancestry. His father was Ousmane Sy, but his most significant early teacher seems to have been his maternal uncle Mayoro Wale, from whom he took the Tijani wird at the age of eighteen. Mayoro was himself an accomplished Tijani scholar, having received initiation at the hands of Shaykh Mawlud Fal and later from al-Hajj Umar al-Futi Tal. After memorizing the Qur'an and completing his early education, al-Hajj Malik traveled throughout Senegal studying with some of the most prominent scholars of his time. He spent a short time studying in Trarza, Mauritania, where he renewed his Tariqa affiliation under Muhammad Ali who was closely associated with the legacy of Muhammad al-Hafiz al-Shinqiti and the influential Idaw Ali shurafa' of Mauritania. 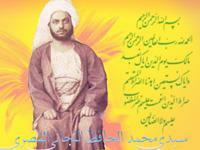 He accomplished the Hajj in 1889, passing en route to Mecca through Marseille, Alexandria and Jeddah. Upon his return, he opened schools in Saint Louis, Dakar and in Marné before settling permanently in Tivaouane in 1902. There his zawiya attained great renown as one of the premier centers of Islamic scholarship in the Senegambia. Al-Hajj Malik trained an elite cadre of Islamic intellectuals in the entirety of the Islamic sciences, before sending them throughout Senegal to teach others. Al-Hajj Malik maintained active relations with the important branches of the Tijaniyya of his day, including the Tijani scholars of Fes and those of Ain Maadi, Algeria; both of which he remained in correspondence through letters. He also married his daughter Khadia to Saidou Nourou Tal, the grandson of al-Hajj Umar Tal and whom the French had named the “Grand Marabout” of West Africa. His relations with al-Hajj Abdoulaye Niasse were particularly close. Al-Hajj Abdoulaye visited al-Hajj Malik in Tivaouane when returning from one of his trips from Fes, and it was through him that al-Hajj Malik received the coveted ijaza mutlaqa from Shaykh Ahmad Sukayrij of Marakesh. Many of his poems in praise of the Prophet have attained great renown and are still recited by his followers, especially during the Mawlid season. Some twenty of his Arabic works were published, most of them in Tunis. Aside from poetry, his writings included treatises on theology, law, Sufism and biography of the Prophet Muhammad. Since the death of al-Hajj Malik, the Tivaouane zawiya has been headed by Abu Bakr Sy (d. 1957), Abd al-Aziz Sy (1957-1997) and Mansour Sy who is the present leader of the Sy family. Shaykh Mansour is usually represented by his official spokesman, Abd al-Aziz Sy. The most prominent representative of the Sy family in America is Shaykh Ahmad Sy, a grandson of al-Hajj Malik who currently lives in Maryland. Sources: Paul Marty, Islam en Mauritanie et au Senegal (Paris: Revue du Monde Musulman, 1915-1916); interview with Shaykh Ahmad Sy, December, 2005; interviews with Shaykh Hassan Cisse. The Tariqa Tijaniyya © 2008 All Rights Reserved. Our master, the shaykh, the gnostic of God, the Sayyid, Muhammad al-Hafiz al-Misri al-Tijani, was one of the greatest scholars of Prophetic traditions (hadith) of Egypt in the twentieth century, as well as a renowned Friend of Allah. Al-Sayyid Muhammad al-Hafiz bin `Abdul Latif bin Salim was born in the district of Munufiyya in Egypt in the year 1315 (c. 1897) to a family connected to the noble Ahlul Bayt (household of the Prophet). After studying the religious sciences in Cairo, Shaykh al-Hafiz traveled abroad to Syria, Tunisia, Sudan, Algeria and Morocco in the pursuit of sacred knowledge. During these blessed journeys, he gained precious diplomas (ijazahs) from some of the greatest scholars of the time from the East and the West of the Islamic world, such as Shaykh Badruddin al-Hasani of Syria, Sharif `Abdul Hayy al-Kattani and Sidi Ahmad Sukayrij of Morocco, Shaykh Alfa Hashim of Medina and Shaykh `Abdul Baqi al-Ansari of Mecca. After his period of learning, Sayyidina Muhammad al-Hafiz totally dedicated himself to the teaching of Hadith. He taught the entire multi-volume Sahih al-Bukhari more than 40 times in Egypt, and many other books of Hadith as well. It is said that he used to know them by heart. It is narrated that when he went to Fez, Morocco, to visit the blessed tomb of Shaykh Ahmad Tijani, he was asked by the shaykhs in Fez to teach them Imam al-Nawawi's famous “Forty Hadith” collection, which he did from memory. Shaykh al-Hafiz also took part in the Jihad against the English in Egypt in the early 1900's, and even Imam Hassan al-Banna, founder of the Muslim Brotherhood, used to seek his advice. In 1951, he began editing a magazine dedicated to promulgating traditional Islam, called Tariq al-Haqq (”The Path of Truth”), which was widely read throughout Egypt. He also debated and defeated the Orientalists in Cairo during his time. His renown as a scholar even reached Western literary circles, and his important biography of al-Hajj Umar Futi Tal was translated into French by the Canadian scholar Fernand Dumond in 1983. Exceeding all of this by way of distinction, however, was the fact Shaykh Muhammad al-Hafiz used to meet Sayyidina Muhammad Rasulullah in a state of wakefulness. This was clear indication of his high spiritual station (maqam) in sainthood (wilaya). He was originally involved in the honorable Khalwati, Naqshbandi, and Shadhili tariqahs, then left all of them to take the Way of Shaykh Ahmad Tijani at the hand of the Mauritanian Shaykh, Sidi Ahmad al-`Alawi al-Shinqiti. Numerous people from all walks of life took the Tijani Spiritual Path from Shaykh al-Hafiz and attained great spiritual heights. He was as famous as a Spiritual Master par excellence as he was a hadith scholar of the age, a combination extremely rare in modern times. His Tijani Zawiyah in Cairo was and remains a great center of spiritual refreshment for those who live in or visit Cairo. His books on tasawwuf and tariqa are considered gems of spiritual knowledge. Our late teacher, Sayyid Muhammad bin `Alawi al-Maliki of Mecca, was a very keen student of Shaykh Muhammad al-Hafiz in Hadith and tasawwuf when he was studying at the Azhar. He would fondly remember the “blessed gatherings” of Shaykh al-Hafiz, and always referring to him as “a great Wali of Allah”, and would often mention some of his miracles (karamat). In fact, the Sayyid always mentioned him in the forefront of the list of his teachers in all his ijazahs. Shaykh Muhammad al-Hafiz was in close correspondence with most of the leading Tijani authorities of his time, including Shaykh Ibrahim Niasse. Shaykh Ibrahim had the occasion to visit the zawiya of Shaykh al-Hafiz during an official state visit to Egypt in 1961. In the presence of the Tijani notables of Egypt, Shaykh Ibrahim referred to Shaykh al-Hafiz as “a man who is without doubt an inheritor (khalifa) of the Shaykh Sidi Ahmad Tijani, whose description matches that of the Shaykh as I myself know him to be.” In other words, whoever has seen the face of Shaykh al-Hafiz has seen the face of Sidi Ahmad al-Tijani; a rare compliment since the Prophet himself assured Shaykh Ahmad Tijani that whoever saw the Shaykh's face would die in a state of good faith. Shaykh al-Hafiz al-Tijani passed away in 1398 (1978) in Cairo. He was succeeded by his learned son Shaykh Ahmad Muhammad al-Hafiz, who authored a detailed biography of his father. Among those who were blessed to achieve spiritual education at the hands of Shaykh Muhammad al-Hafiz was the Italian Shaykh Abd al-Samad Paolo, who has translated and commented several important Sufi works (amongst them the Kitab al-ta'arruf of Kalabadhi and the Mahasin al-majalis of Ibn al-'Arif) into Italian. Shaykh Muhammad al-Hafiz was indeed a giant of the twentieth century. May Allah be pleased with him, and may we benefit from his example, steeped as he was in both the Sacred Law (Shari'a) and the Divine realities (Haqiqa), as a paradigm of true Muslim scholarship continuing into modern times. He was also a consummate gnostic who had studied under some of the more illustrious scholars of the Tijaniyya in the nineteenth century, such as Ahmad Abdalawi and Abdul-Karim Bannis, the latter who authored the central work on Tijani practice, Durrat al-Taj. He was known for his sobriety in Sufi practice, and it is said that he disapproved of excessive emotional displays during dhikr. In his defense of the Tijaniyya from its detractors, he emphasized the humility and orthodoxy of its leading scholars. In the book, al-Sirat al-Mustaqim, he was famous for asserting that the spiritual positions belonging to Shaykh Ahmad Tijani and his followers were a distinction from God, but not necessarily a mark of superiority. The personal saintliness of Shaykh Sukayrij attained wide renown. Shaykh Hassan Cisse, who recently met with his descendents in Marrakech where he received the walking stick, fez and ring of Sukayrij, relates a story of the Shaykh being questioned about his activities as a Qadi (judge). Accused of accepting the judgeships for the government stipend, Shaykh Sukayrij lifted the pillow on which he was reclining and shook it in front of the questioner. Money started to fall from the pillow onto the floor, upon which the Shaykh simply said that it was God who provided his needs, he was only working for the sake of Islam. Among those who took the Tariqa Tijaniyya from him was Mawlay 'Abdul Hafiz the Sultan of Morocco (1908-1912), who was exiled to France upon the French occupation of Morocco. The Sultan had previously been an enemy of the Tijaniyya, and had cooperated with the Moroccan Salafiyya movement in its polemic against the Sufi orders. After his exile, Sultan Abdul Hafiz came better acquainted with the Tariqa, and after taking the Tijani wird, became one of its chief advocates. He later wrote the book, al-Jami'a al-'irfaniyya al-wafiya bi shurut wa jull fada'il ahl al-tariqa al-Tijaniyya (published in Tunis in 1930), relating the history of the Tijaniyya, explaining its practices and praising its distinguished scholars, especially his teacher Ahmad Sukayrij. A 20,000 line, Nazm Version of al-Suyuti's Khasa'is al-Kubra. A 500 line, Nazm version of Qadi Iyad's Shifa. A commentary on the Burdah. The renowned Kashf al-Hijab amman Talaqa ma`a al-Shaykh al-Tijani min al-Ashab (published in Fez, 1907), a giant encyclopedia of the disciples of Shaykh Ahmad Tijani. The comprehensive book of Tijani doctrine, al-Kawkab al-Wahhaj li tawdih al-minhaj (published in Tunis, 1910), written as a commentary to Durrat al-Taj. 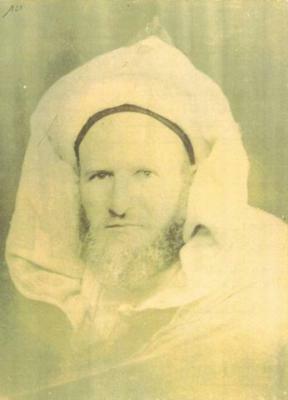 Although Shaykh Ibrahim Niyass had numerous ijazahs in the Tijaniyya, he would always use that given to him by Shaykh Sukayrij during their meeting in Morocco in 1937 when initiating others into the tariqa. Indeed, the silsilah, or “golden chain,” passing through Sukayrij was the shortest to Shaykh Ahmad Tijani of any scholar in the twentieth century. Before he passed away, Shaykh Sukayrij had a dream in which he was in the company of Qadi `Iyad ibn Musa. Then it so happened that he passed away while he was in Marrakech in 1944, and was indeed buried in the Mausoleum of Qadi `Iyad. Many of the Shaykh's Arabic works, and a more detailed biography, are available at www.cheik-skiredj.com. The above information is based on information available at this site, interviews with Shaykh Hassan Cisse and brief biographical information appearing in Abun-Nasr's The Tijaniyya (Oxford, 1965). Shaykh Ibrahim Niasse (1900-1975) was West Africa's most renowned Islamic scholar in the twentieth century. His followers numbered in the millions and comprised the largest single Muslim movement in West Africa (Hiskett, 1984). He was also well-known among the ulama and leaders of the broader Muslim world and a member of such organizations as the Muslim World League (Rabitat al-'Alam al-Islami based in Saudi Arabia, of which he served as Vice President), the World Muslim Congress (Mutamar al-'Alam al-Islami; Karachi, Pakistan), the Islamic Research Assembly (Majma' al-Buhuth al-Islamiyya; Egypt) and the High Council of Islamic Affairs (Majlis al-'Ala li al-Shu'un al-Islamiyya; Egypt). Following a trip to Cairo, Egypt, in 1961, he became widely known as “Shaykh al-Islam” after having led the Friday prayers in the prestigious Azhar mosque. 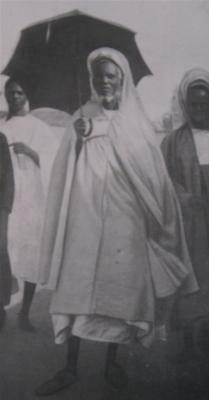 Shaykh Ibrahim Abdullah Niasse was born in rural Senegal, the son al-Hajj Abdullah Muhammad Niasse. Al-Hajj Abdullah (d. 1922) represented the culmination of a long line of Islamic scholars in the Senegambia region, and was himself a well-traveled and consummate shaykh, attracting students from all around the region as far away as Mauritania. Shaykh Ibrahim was educated primarily at the hands of his father, with full access to his father's extensive library. Shaykh Ibrahim mastered at an early age from his father the full range of Islamic sciences: the Qur'an and its interpretation, the Hadith and their explanation, jurisprudence and Sufism. Shaykh Ibrahim was the best example of a Sufi according to the description “The Sufi is the son of his hour (ibn waqtihi).” He will respond to the needs of the time. At every moment he is dealing with the requirements of that moment. The Muslim who is greatest in understanding is he who submits to the rule of his hour. That is, he gives everything the position it requires in action and speech. He is a person moving with time in a circle. He does not attempt to stop time, not to become stagnant in it, nor to regress in it. His effort is aimed at continually moving forward. In the season of Ramadan he reads Qur'an and Hadith and presents their explanations. In the season of Hajj, he expounds the virtues of the Muslim pilgrimage. At the time of Mawlid, he recites the Prophet's Sira or Biography. All of this behavior characterized the Sufism of Shaykh Ibrahim. It was based on action and practice, traveling all over the Muslim world, giving speeches, writing pamphlets. In every endeavor, his goal was to direct Muslims to the right path (siratul mustaqim). Sickness did not bother him unless it halted his activity in behalf of spreading Islam. Indeed, his tasawwuf was not characterized by heedlessness and neglect (ghafla). It was based on real Islam, mastering the self (nafs) and rul­ing over it with Qur'an and Sunnah. His Sufism was producing and working in various fields of life on the farms, and so forth. Shaykh Hassan Cisse has emerged as one of the preeminent spokesmen of the Tariqa Tijaniyya in the world today. He is an accomplished Islamic scholar, emerging from a long and vibrant legacy of Islamic learning in West Africa. The grandson and spiritual heir of Shaykh Ibrahim Niasse, he was designated by Shaykh Ibrahim as Imam of the Jama'at Nasr al-Ilm (”Community of Helping Knowledge”), the followers of Shaykh Ibrahim who are historically the largest single Muslim movement in twentieth-century West Africa. Shaykh Hassan's own scholarly reputation has earned him the respect of Muslim 'ulama around the world. For example, Shaykh Yasin al-Fadani (d. 1990), the Indonesian musnid of the Hijaz, sent him a personal diploma (ijaza) transmitting the some 700 diplomas Shaykh Yasin had collected from prominent scholars throughout the Islamic world. Similarly, the great Hadith scholar of Medina, Shaykh Ahmad Muhammad Abd al-Jawwad, presented him with an ijaza after being instructed to do so in a visionary encounter with the Prophet Muhammad. Shaykh Hassan Cisse himself possesses more than 600 ijazas from Muslim scholar all around the world, the most cherished of which remains that from his grandfather, Shaykh Ibrahim Niasse. Although Shaykh Hassan was only thirty at the time of his grandfather's passing, Shaykh Ibrahim was said to show him special favor from the time of his birth in 1945. Near his own death, Shaykh Ibrahim called all of his sons together with Shaykh Hassan to transmit to them various ijazas in the Islamic sciences. Before anyone else, Shaykh Ibrahim called in his grandson Hassan, sat with him for a long time, and gave him full ijaza for everything that Shaykh Ibrahim himself possessed. Then he sent Shaykh Hassan to his uncles to distribute to them various ijazas for specific subjects. In Shaykh Ibrahim's last will and testament, he recommended his own children to his closest disciple and lifelong companion, Sidi Ali Cisse, and said that they should “be with him as they are with me now.” The will mentions Shaykh Hassan by name as the community's Imam after his father. Shaykh Hassan was the last to see Shaykh Ibrahim alive. Besides the “traditional” sciences, Shaykh Hassan also attained high merit in later academic education, completing a B.A. in Islamic Studies and Arabic Literature from Ain Shams University (Cairo, Egypt) and an M.A. in English from the University of London. Near completion of his PhD in Islamic Studies at Northwestern University (Chicago, IL), his father passed, and Shaykh Hassan was obliged to return to Senegal to assume the imamate in Kaolack. Shaykh Hassan is fluent in Arabic, English, French, Hausa and his native Wolof language. Shaykh Hassan Cisse has continued the work of his grandfather, introducing Islam to thousands and unifying diverse cultures under the banner of Islam. The Shaykh has positively affected the lives of many in societies rife with ethnic and religious tensions, such as Nigeria, Mauritania, South Africa and the United States. Shaykh Hassan first came to America in 1976, and has since worked tirelessly to promote good-will and positive exchange between Americans and the international Muslim community, emphasizing the essential spirituality and etiquette (Sufism) of Islam to promote individual betterment and real brotherhood. These efforts have born fruit through the founding of the African American Islamic Institute (www.aaii.info), a UN recognized non-governmental organization (NGO) which promotes education, health care, women's rights, and international exchange and dialogue between America and West Africa. Shaykh Hassan's social efforts have been recognized by several international organizations, such as the World Health Organization (WHO), the United Nations Population Fund (UNPFA), the United Nations Children's Fund (UNICEF) and Rotary International. He frequently participates in the United Nations annual conference for the world-wide NGO community. He has participated in annual United Nations conferences for NGOs and is a frequently invited guest speaker at UNICEF and other UN-sponsored events. 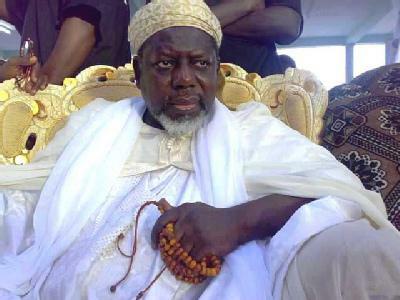 His role as an eminent Islamic scholar committed to the real needs of humanity has also occasioned his election as President of the recently formed Network of African Islamic Organizations for Population and Development. For an example of his address of international humanitarian concerns from the perspective of an Islamic scholar, see his speech delivered at a 2007 meeting of the Organization of the Islamic Conference (OIC) in Kuala Lampur, Malaysia: The Role of Religious Leaders in Polio Eradication. It is also available here in its original Arabic version. In him we have grasped a handhold that never breaks.